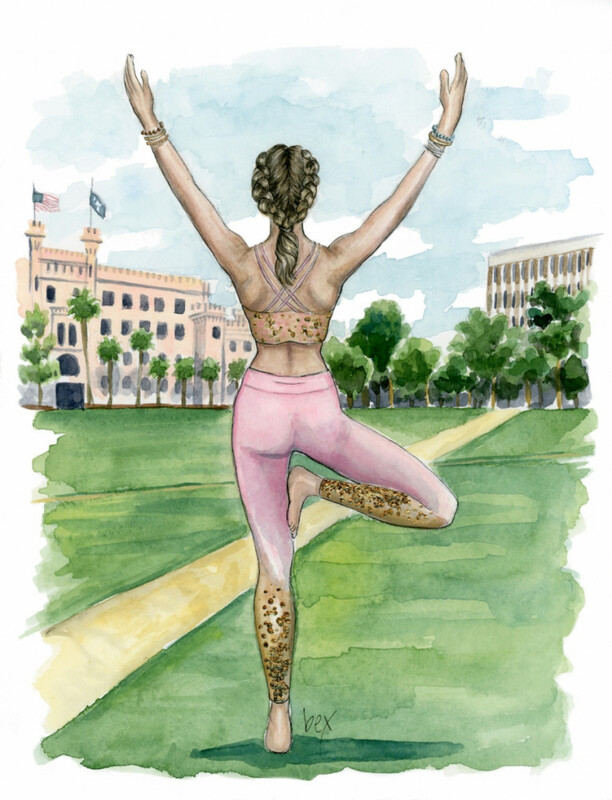 Blog of the lowcountry Charleston artist Rebecca Hinson. It's the most wonderful time of the year! Ok, I know that slogan usually goes for the Christmas season, but in my opinion there are two reigning champions for that title, Christmas and Spring! Both ever so magical in their own right and way. Spring time is all about new beginnings and growth. It's difficult to not feel optimistic when the world around you is bustling with new life! Marion Square, situated between two of the main vein streets in Charleston, Calhoun and King, is right in the middle of town. It's a spring time haven for those wanting to play fisbee, soccer, layout, p..
in	New Artwork	on Feb 04, 2019 . You might have noticed by now that I absolutely love animals! I’ve probably said it a time or two. They're also a common theme seen throughout much of my work, from illustrations to oils. That’s why I just love it when clients incorporate their furry ones in their illustration commissions. The most recent being sweet little guy, Jackson, who was honored with the role of ring bearer in this super sweet Hamptons wedding. What's another reason why I adore this piece? That outfit! 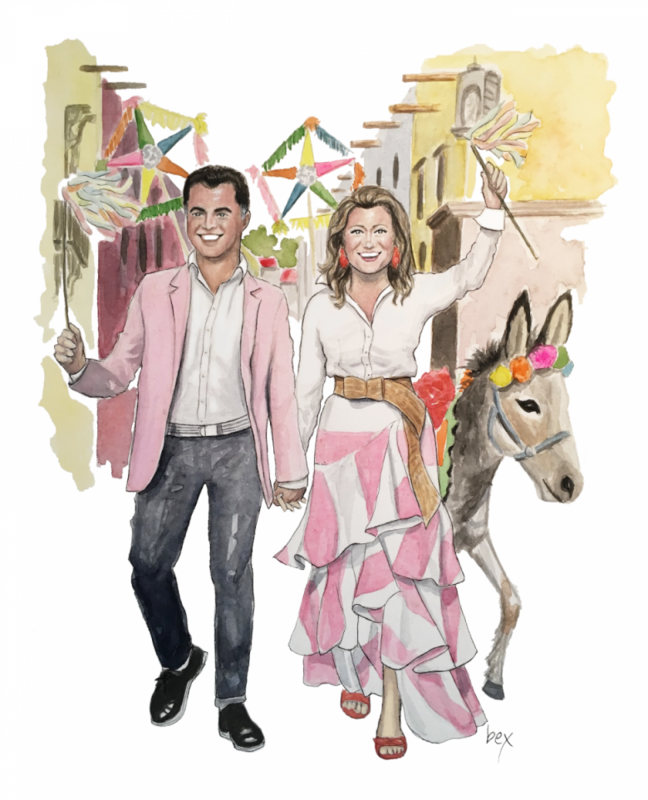 I just love illustrating the nontraditional wedding attire. Seriously, how gorgeous is that baby blue skirt a..
What do donkeys, mariachi bands, and tequila necklaces have in common? They’re all part of a traditional Mexican wedding parade of course! 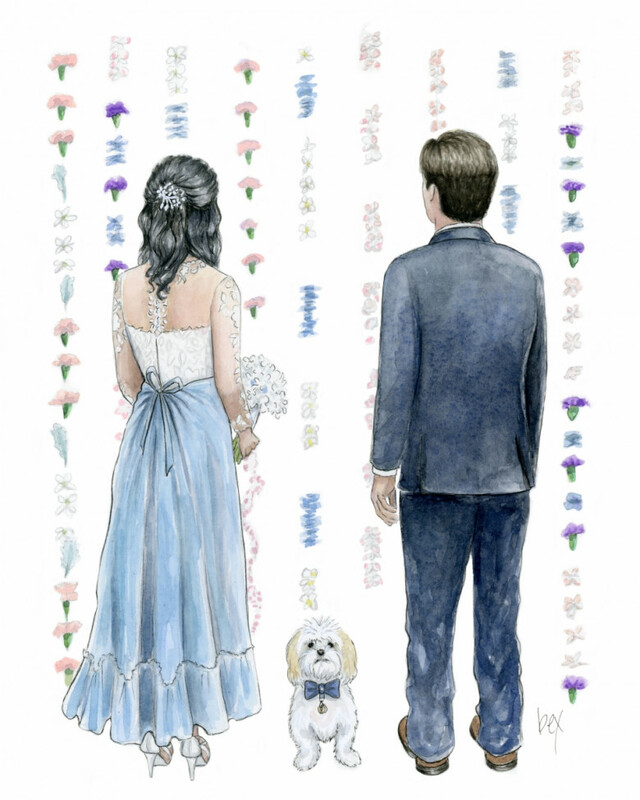 Well, not necessarily of course because I had no clue about this until I was commissioned to do this wedding illustration. The couple, who live in San Miguel, Mexico, had just that, a traditional Mexican wedding. They paraded through the streets accompanied by their loved ones and all the appropriate festive paraphernalia. Also, typically seen during the procession (that wasn’t captured here) are giant wedding puppets. A quick google image search of “..
in	New Artwork	on Jan 09, 2019 . Oh, Charleston. You had me at "hello". I've lived in Charleston for over 14 years now and the beauty and charm of its architecture has never faded. 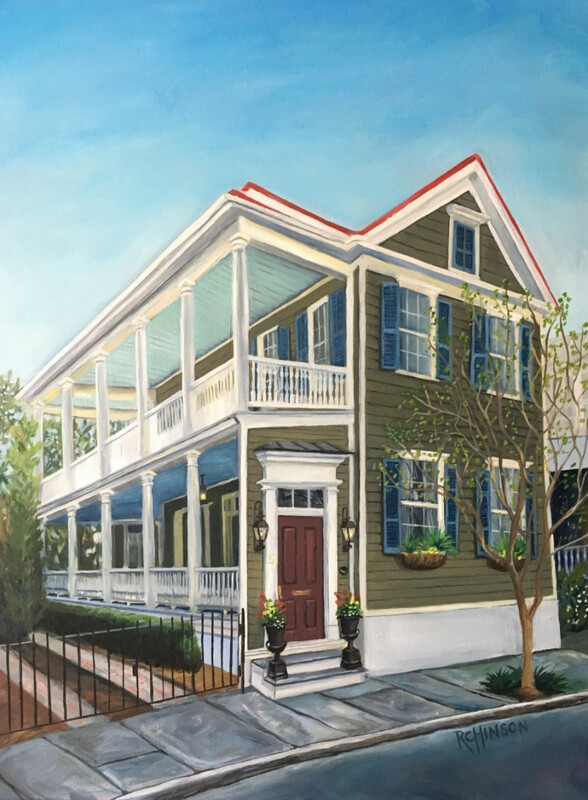 So naturally when I was commissioned to paint this Charleston single house, I was delighted. I adore painting what is close to my heart. This piece was a Christmas present for a clients parents who recently bought a home in Charleston. Of course it was a surprise so I was unable to share the process on social media for fear the new recipients might stumble upon and recognize their lovely abode. The holidays have come and gone and I can now share..
in	Art Studio	on Jan 02, 2019 . Happy New Year! 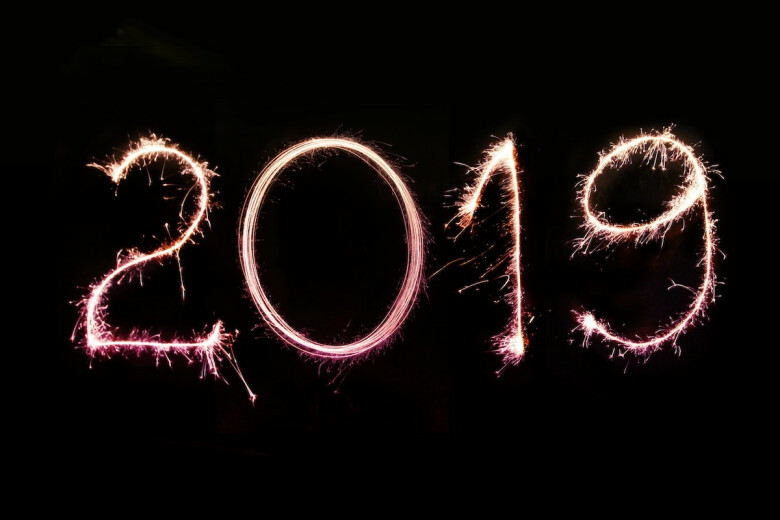 It’s hard to believe it’s 2019?! I suppose I say this every new year. I can’t believe it's the year *blank*. But seriously, I can’t. 2018 was quite a year. Like all past years, it had its ups and downs but overall it was a great year! However, the feeling I have about 2019 is unlike any other. This is going to be a great year! I can feel the energy all around me! Have you written out your goals and aspirations? When they're down on paper it makes them that much more real and maybe even attainable. One of my goals this year is to be fearless! I will not let doubt stand in the..
Bikini (n): a very brief two-piece swimsuit for women. Mono (adj): a monochromic picture, i.e. picture executed in black and white or in varying tones of only one color. Monokini (n): A mixed media painting series by Rebecca Hinson where most of the image is in black and white except for the one piece (and sometimes 2 piece) bathing suit. Media includes gouache, sumi ink, pencil, gold leaf, and acrylic on thick watercolor paper. Ok, so that last one is MY definition of a monokini. A monokini is a real thing though. These days it’s generally thought of as a one piece women’s bathin..